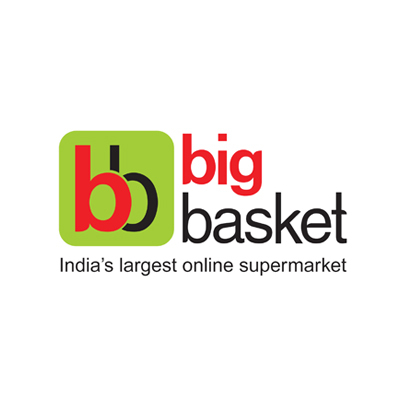 Bigbasket.com (Innovative Retail Concepts Private Limited) is India s largest online food and grocery store. With over 18 000 products and over a 1000 brands in our catalogue you will find everything you are looking for. Right from fresh fruits and vegetables rice and dals spices and seasonings to packaged products beverages personal care products meats we have it all. 1. 10% Cashback when you pay using Paytm at Bigbasket . 2. Minimum transaction amount is Rs.1500. 3. Maximum Cashback per transaction is Rs. 200. 4. Offer is valid once per user. 5. Use PAYTMNOV promo code to avail the Cashback. 10. RBI mandates that upto Rs. 10,000 can be added in a month to a non-upgraded wallet. In case you breach these limits then cashback will get added to your wallet in the next calendar month. In order to allow cashback to be added earlier we urge that you request for a wallet upgrade (available under your profile). Offer is valid from 1st Nov 2018 - 15th Nov 2018 or until stocks last before the valid date.